PORTLAND, Maine–(BUSINESS WIRE)–Vets First Choice and Covetrus, a global animal-health technology and services company empowering veterinary practices that will result from the expected spin-off and merger of the Henry Schein Animal Health business with Vets First Choice, today announced that Covetrus will be added to the Standard & Poor’s (S&P) MidCap 400 Index®, effective prior to the open of trading on Monday, February 11, 2019. Following the completion of the merger, anticipated to close on February 7, Covetrus will begin regular-way trading on the Nasdaq Stock Market under the symbol CVET on February 8, 2019. 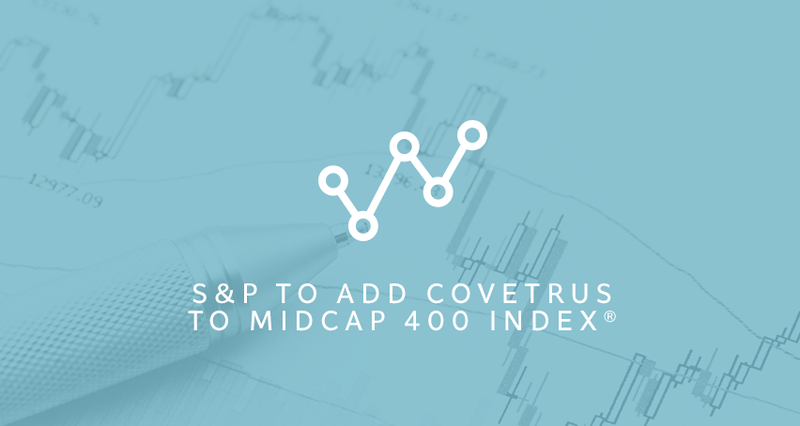 The S&P MidCap 400® Index provides investors with a benchmark for mid-sized companies. The Index, which is distinct from the LargeCap S&P 500®, measures the performance of mid-sized companies, reflecting the distinctive risk and return characteristics of this market segment. Upon the closing of the transaction, Covetrus will be a global animal-health technology and services company dedicated to empowering veterinary practice partners to drive improved health and financial outcomes. We’re bringing together products, services, and technology into a single platform that connects our customers to the solutions and insights they need to work best. Our passion for the well-being of animals and those who care for them drives us to advance the world of veterinary medicine. Covetrus is headquartered in Portland, Maine, with more than 5,000 employees, serving over 100,000 customers around the globe.